Hotel located downtown on the beautiful John Deere Commons nestled along the banks of the mighty Mississippi River. 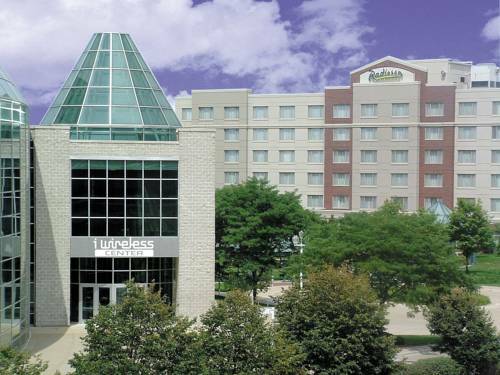 The hotel is adjacent to the i wireless Center entertainment and convention center and across the street from the renowned John Deere Visitors Pavillion. Oversized rooms feature complimentary high speed Internet access, 2 two-line phones, large desk, 60 plus cable channels, hairdryers, irons and boards, coffeemakers, refrigerators and USA Today Monday through Friday. Complimentary deluxe continental breakfast with all rates. Hotel also features an indoor pool and whirlpool (6am to 10 pm), fitness center, and 93 percent Sleep Number Bed. Offers a fun & festive atmosphere. Seasonal outdoor patio deck has magnificent views of the mighty Mississippi. Bicycle, jogging, and walking paths Approximately 2 miles from the hotel. John Deere Visitor Center No charge Display floor showing John Deere agriculture and construction equipment. Interactive displays on agricultural history as well as internet acces to world agricultural information.